Biography: Grace Revival Ministry began in 2007 with only a few believers as a fellowship. Joseph and Margaret desired to lead them on the road of holiness, spreading the true gospel as written in the Bible, according to the will of God. The ministry has grown to include four branch churches. The church focus is to ensure all grow spiritually with sound leadership in knowledge of the true gospel with the love of God. They have a nursery, children, youth cell, women, men ministries, and choir groups and plan to open an ECD School in the near future in order to support the orphans. Evangelism projects include crusades and interdenominational meetings. Strengths: Joseph is a gifted preacher and teacher who moves in the talents and gifts of healing, counseling, prayer, helping, and composing songs. 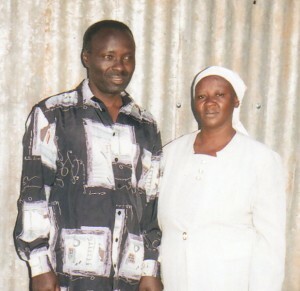 Joseph and Margaret also have two adult children, Susan Ngendo and Genertic Mariana.